I took some time today to make some order on the stuff I have on my computer. As I mentioned in my recent post, I had a few (!!!) issues to solve and finally I got everything. And this is right after last week’s meeting I had with my extraordinary Team (the EMEA MVP Lead Team): it was so great to meet my fellow teammates, talented people with a lot of great ideas. So now I was working on some slides I’ll present during a CEE Internal Meeting here in Prague. These people gave me an exceptional chance to present some of the things we are going to do (with their help) and some of the Microsoft MVPs’ Achievements during the last Fiscal Year. This is the right time to start challenging people, talk with them and mingle (yes, that’s the right word ). This is the perfect time to start, with a strategy in mind, all the activities we want to create, support and embrace in order to make the communities stronger and better. Of course, as said, for me nothing is achievable without the help of the local subsidiaries: whether it’s a small Country or a big one, it’s necessary to talk face-to-face, start planning the activities and the conference calls in order to measure the status of all the different things we do. Or, I should say the MVPs do. They’re the KEY, the pillar and the main actors of our discussions. And the reputation they gained on the field, being the trusted advisors for many people, well, this helps a lot. But there’s one thing that is in common, and sorry but I’ll never stop saying this: Passion. But I’m not done with it: as soon as I think about it and brainstorm myself, rest assured I’ll come up with many more ideas for my slides . A glimpse of the future ! I had some great holidays during this summer, up in the mountains. And I deliberately chose not to bring my laptop with me so not to be tempted to work. Anyway I used my Windows Phone to check my emails: not on a regular basis but at least to check the most important stuff that was going on. I wanted to take out job stuff from my vacations but I couldn’t resist. Every year I bring my laptop with me mostly for the candidates’ reviews (to see if everything was working the way I was expecting to). So that was my first lesson: never leave my laptop @ home. Because after I came back, I switched it on only to realize that the hard disk was broken. Oh my, I was so disappointed, especially because I was not so sure that I backed everything up. With all the cloud services we now have at our disposal, none of them had all the stuff (at least the recent one) I was supposed to reinstall on my laptop. Fortunately, I made a backup on May, 2011 on my external hard disk so not everything was lost. Also, SkyDrive and Windows Live Mesh did help me in recovering some of the most important files I had. I ordered a new hard disk from HP (thanks to the local IT for the big help!) but it took about a week to have it. In the meantime, my smartcard was not working. Bummer ! As you may know, in order to have Direct Access on Windows 7 working, you have to use BitLocker and then use your smartcard to enable the corpnet access. Not to mention I got flu that took me @ home for almost a week. So I went to the local IT and ordered a new one but it takes some time. during the hiking time back to the mountains I had some time to think about all the activities and top stories and the great collaborations with all the Countries I have the pleasure to represent as the Community Program Manager for the MVP Award Program. I guess everyone does that: when you have time and you’re relaxed, it’s much easier to build your last year’s history. Even better, you have a lot of creativity and lots of ideas that you want to put into action. So, apart from being stuck right after my holidays, I’m SO READY to start the new (fiscal) year! And you know what? There are a lot of things happening and planned to happen in the next 90 days. Lots of events, lots of engagements and of course the Microsoft and the 3rd party forums are still running and they get healthier. You know I’m addicted to the social media and, to me, it’s the best way to monitor what is going on in the communities. As I represent 20 Countries, it’s not that easy to track everything you want to but at least you got what I need. Also, I found a new way to use my Windows Phone more effectively: basically I created groups in which there are people (aka Twitter/Facebook/LinkedIn accounts) that I want to monitor. In that way, and when you don’t have much time to use a PC client, I was able to get the most important things, at least important for me and the Communities. As you can see many events (or I should say at least some of the most important ones) are happening in the Region, with a strong Microsoft MVP participation, whether the MVPs will be speakers or Ask The Expert. These are events that are community-driven and/or Microsoft-driven with the help of the Communities and I guess it’s a great opportunity for all the community members to stop by to some of these events and have a chance to talk with them about Microsoft technology. Of course I didn’t forget about the MVP candidates’ review, which is, as a matter of fact, the first thing I want & need to make sure it’s okay. So expect a blog post, as always, the 1st of October, late in the day, to see new names/new faces and great community contributors being awarded as part of this exciting community which is the MVP Award Program. So, putting aside all the issues I had after my holidays’ return, I’m VERY VERY excited to start a new year with a lot of activities being so confident that the communities and the Microsoft MVPs will have a big part on the new wave of Microsoft Products and a strong impact on the future of Microsoft Technologies moving forward. And you know what? I want to be part of it too !! It’s a big 2 days timeframe for developers and ITPros in CEE. Featuring International speakers, this event, which will be hold in the forth most populous city in Romania (Cluj-Napoca), will see 10 Microsoft MVPs, all of them with different technical backgrounds and from different parts of Europe (you can add their personal Twitter/LinkedIn/RSS from the speakers’ list). “We will be discussing general interest topics such as Private Cloud, security, Windows Azure, RIA using MVC and Ajax, System Center, SQL Server, Dependency Injection in ASP.NET MVC 3, Exchange High Availability, ASP.NET and PHP apps on IIS, Workflow Services in Windows Azure, SharePoint Server support for ISO and COBIT certifications, Link, WCF and REST in the Cloud and more”. So a lot will be covered ! While I suggest you to follow them, you can register here ! Microsoft MVP Award – April 2011 Awards ! And it’s not that easy, monitoring all the Communities in CEE & Italy (the Region I represent, excluding Russia & CIS Countries), and find the “best of the best” inside those entities. But I’m helped, of course: thanks to the continuous commitment of the Microsoft local Subsidiaries, and the help of the MVPs themselves, we get new outstanding nominations throughout the Region every Quarter. So what can I say, apart from CONGRATULATING the new and re-awarded MVPs? I never experienced that but, if I would be a technical expert in the IT Industry, getting the MVP Award e-mail should be really satisfying, from a personal and professional standpoint. I always feel the excitement from the new MVPs, but also from the ones who are renewed, it’s still a very emotional part of their jobs and careers. And this is thanks to what you do, on a voluntarily basis, that makes you a Microsoft MVP, even if you are not “MVP-branded” yet . 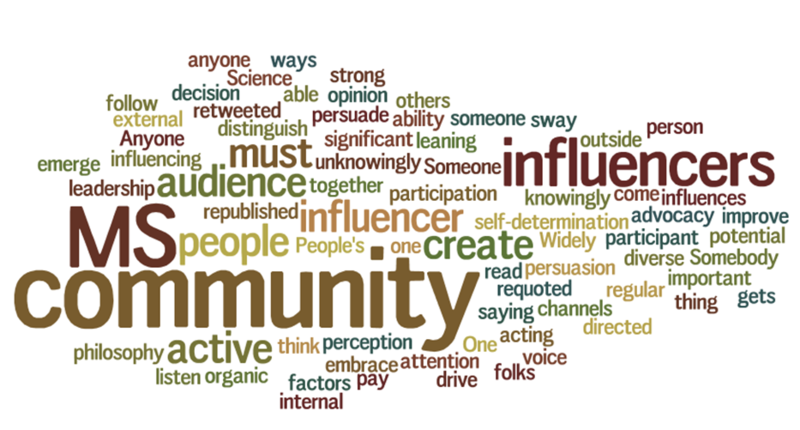 Doing communities activities, being available to the local subsidiaries when it comes to do technical presentations or articles or whatever it is, you’re part of the Community Ecosystem as an “Influencer”. People listen to you, listen to your advice, and take actions on your technical feedback. And this is definitely TRUST, something you gain year over year with your continuous effort in helping the communities grow from a technical perspective. So this is just to say THANK YOU, again, for what you do. (as soon as you’ll publish the news on your blogs and/or on your MVP Profiles, I will add the links to your name so anyone can see who you are ). I won’t put the list of all the re-awarded MVPs as it’s very long but, if you ask me to do it, I’ll do it ! Of course we had some declined MVPs. And this is natural: sometimes people don’t have time to dedicate to the communities anymore, some others changed jobs so this make it difficult for them to be active again: any other reason in between I don’t want to lose connections with these guys because I’m sure, sooner or later, they’ll come back again ! BTW, If you don’t know nothing about the MVP Award Program, why don’t you subscribe to our blog? You’ll definitely find some good interesting stories to read about ! That said, Enjoy your Award and talk to you soon ! I didn’t have much time to review and update my blog but, as I’m here in a Starbucks in downtown Seattle waiting to get a bus to the new destination, I thought it was worthy to write down some notes. The MVP Global Summit (#mvp11) has been a great experience to me, to my colleagues and, to my knowledge, to the MVPs. It’s always amazing to get together in this place, far far away from our hometown. It’s about building relationships, interacting with the Product Teams, engage on with new opportunities and of course having a great time during the evenings. Great technical sessions, an amazing event organization, the Safeco Field Party, the Product Group dinners, I think almost everything was perfect. Of course there’s room to grow and of course some of you may not have been that satisfied with a particular session. But it’s not that easy to accomodate all of you, because of the different backgrounds and skills you may have. Personally, I’m very happy with the whole event. Every year is better and better. I had almost 100 MVPs coming from the Region I represent which is huge and my only regret is that I didn’t have the chance to talk with all of you guys. I just wanted to talk with all you but I just couldn’t ! 🙂 At least I met almost all of you which is good. Time flies and now you’re probably headed back home. I hope you’re taking with you great memories to tell your friends and families..
I’ll see you soon ! Croatian WinDays strikes back with a new 2011 promising event ! Feel free to follow the upcoming news and see you in Rovinj!